Generally speaking an ornamental tree is one that is grown for its decorative looks and not for food. Winter is the perfect time to prune deciduous ornamental trees, as their structures are dormant. Inside the tree though, important processes are underway. The tree is consolidating; resting and storing energy in the form of carbohydrates in the trunk and roots to enable it to grow and develop once spring hits the air and the promise of warmer weather is near. For deciduous ornamental trees it is best to wait until they are fully defoliated, confirming they have entered their period of dormancy. Pruning while dormant also enables easier pruning decisions without leaves obscuring plant branch structure. For evergreen ornamentals, it is suggested you hold off even longer (until the end of winter and even early spring) so that the wounds created by the cut are open for only the shortest period of time before healing is promoted with the onset of warmer weather. Pruning is more than just cutting off the odd limb. It is observing the tendency of a species and manipulating that to achieve a particular end. Knowing what you want to achieve is incredibly vital to doing a good job so don’t prune just for the sake of it. For big trees, if you don’t know why you are pruning, it is best to just leave the tree alone or get in an expert. So what do we achieve by pruning? The answer is simple - a stronger tree! If you have a number of trees along a driveway for example, pruning keeps size and uniformity of shape. In most cases there will be a practical and/or aesthetic reasons to prune whether it be to keep limbs at bay, keep feature trees within a defined visual space and stop the larger tree from over-hanging roof tops and fence lines. In all cases, pruning adds value to the tree, extending the health and therefore longevity of the tree and assisting in the effectiveness of its growing period as stored energy is then channelled in all the right places. You don’t have to wait long to see the effect. With the commencement of spring, limbs will flush with new growth and fresh foliage. Depending on the tree, what can follow is the flourish of flowers and even fruit. The intensity by which these stages occur is fundamentally wrapped up in the dormant winter months, and guided by the structure you have set for the tree via pruning. There are a number of reasons why we undertake pruning. 1. Safety - this is the most important thing when dealing particularly with trees. Pruning achieves strong branches and root structures for sturdy and long living specimens. Protruding branches can be an issue at chest or head height. Think about what the space is used for and cut back accordingly. For security reasons or indeed privacy, it is a good idea to prune to a structure that achieves your requirements. Low branches along driveways for example can also impede the line of sight. This is one of the main reasons street trees are pruned as we need to be able to safely view the environment around us as both drivers and pedestrians. 2. Uniformity - this refers to trees that are grown in the same manner, lifted to the same height and pruned in the same way. Trees grown in this manner have a greater value than trees that are left to develop themselves. A group or row of trees pruned to a standard uniform shape and to a purpose are much easier to look after as they will keep within the structure that you have set over the course of time. There will be no need to heavily adjust from one year to the next, making lighter work of pruning. 3. Temporary branches – more applicable to the feature tree, the production of short heavily foliaged branches low on the trunk provides a much larger ‘factory’ to produce the energy that is necessary for sustained and effective growth. These temporary branches are easily removed but should only be contemplated once the canopy of the tree is big enough to provide shelter to the trunk. To keep the tree in shape it is a better rule to shorten them back each year as the energy both stored and created by the leaves can increase your growth rate and reduce stress levels in the tree. Lower branches also offer protection to the trunk early in the trees life particularly from extreme weather conditions. 4. Aesthetic value - a line of well-grown even trees is much more valuable and pleasing to look at. And their value within a landscape and/or community should not be underestimated. 5. 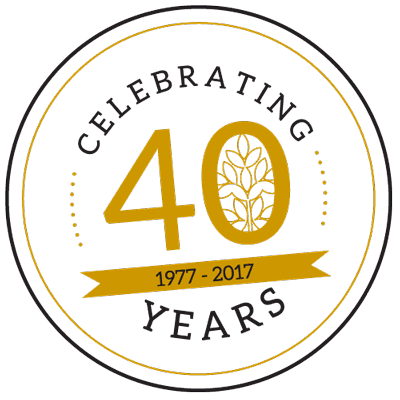 Tradition - the growing of trees has been undertaken by gardeners and horticulturists for thousands of years. As ornamental trees have developed out of more traditional and practical pursuits such as fruit growing, there can be the appeal to prune these trees in a standardised manner. The way a tree is pruned can be influenced by earlier generations, and how you were taught. Highly structured work in this category could include the processes of pleaching and pollarding. Winter is not the only time you can prune trees but it is the right time for the heaviest impact. In summer you can do some light work including general shaping, the removal of dead branches, and tip pruning to promote greater energy levels. Trees can be lightened by the removal of minor branches and lifted to improve access. Care needs to be taken not to remove large branches that create high stress levels in the tree as that is an activity for winter. You can also prune some trees after flowering. This is only good for a small number of flowering trees such as Prunus trees (plum) but care needs to be taken so that this interruption occurs straight after the flush of flowers but before the tree comes into full leaf and growth. Timing is the critical issue here. Pruning after flowering but before foliage flush gives the tree maximum growing time to develop and store carbohydrates. Of course there will be times when services get in the way and the tree has to be attended to from a safety point of view. Back to point one. July is a good time to prune all fully defoliated deciduous trees such as Japanese and large leaf Maples, Ginkgo, Liriodendron, Birch including ‘Cut leaf Birch’ and 'Moss White’, Cercis, Cotinus, such as purpurea and ‘Velvet Cloak’, deciduous forms of Ash such as Crab Apple, Gleditsia, Jacaranda, Crepe Myrtle, Pyrus, Oak, and Robinia. For evergreen varieties, wait until late August and September. 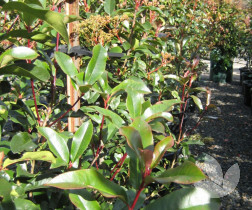 These include trees suitable for hedging, such as Syzygium, Acmena, Waterhousea, and Photinia. The reward for this work will be a denser thicket, often over a shorter period of time. Pittosporum responds well to a trim every so often to keep them in shape so there is really no need to do more than this at any stage of the year. If you need to go a little harder, wait until late winter or even early spring. All forms of Pittosporum make for a relatively quick and easy hedge or screen due to their bushy form and small leaf. We have good numbers coming on in 30cm and 50 litre containers but you will need to be quick. 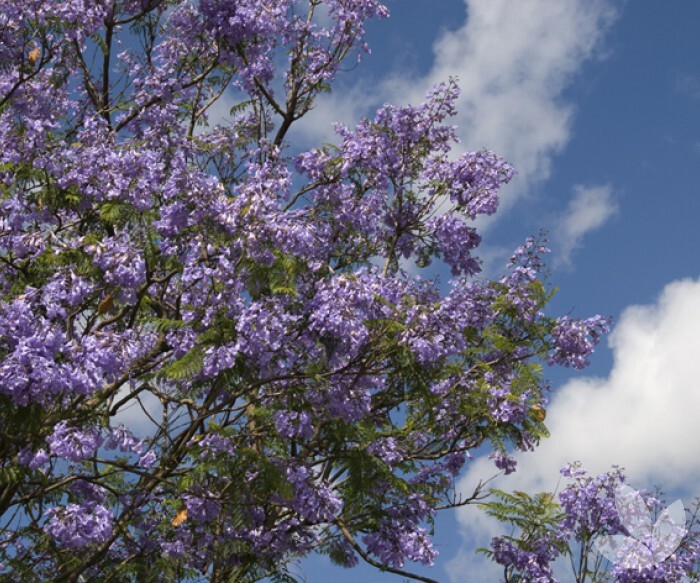 It is the last deciduous tree to drop its leaves so towards the end of winter is the best time to prune Jacarandas. Ours are formatively pruned each year to retain the strong central leader. Of course for large trees it is always recommended to consult the services of an Arborist. We have numbers available now in a multitude of sizes from 30cm to 200L and they would have been pruned at the right time to assure good growth in the landscape. 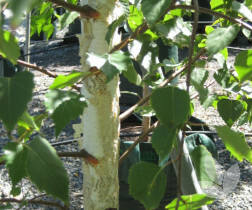 Birch doesn't generally require a lot of pruning. If anything needs to be done, winter is the time to do it. 'Moss White' has bright green foliage that turns to a pale yellow in autumn. The trunk is a grey colour when young gradually turning to white. It's been a tough season getting quality junior material for nuturing into premium quality large specimens but we do have some in 200 litres only. Always on our list, it is best to talk to us now for future supply. 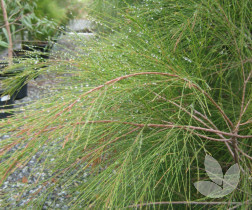 Allocasuarina has corky bark which means that trimming back to keep shape can probably happen anytime of the year including summer. This is opposite to smooth barked natives where sunburn can result on bare limbs that have been pruned when it is too hot to do so. For Allocasuarina, we would only recommend pruning to lift up the tree if you find that branches are hanging too low and the tree is suffering under this weight. We have torulosa and littoralis in good numbers for planting now in 50L containers. 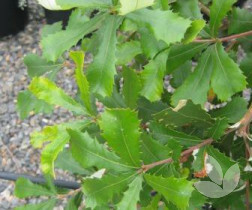 Like most trees and large shrubs suitable for hedging and screening, tip pruning is recommended for these specimens to keep their shape and health. This type of pruning also encourages denser growth. We grow ours to be dense and upright. This tree is currently available with that beautiful red tinge in 30cm and 50 litre containers. 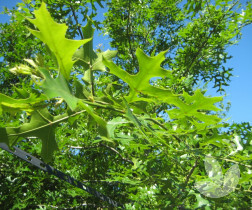 Pruning Quercus palustrus is all about taking off bad branches. For a great structure we lift lower limbs to the heights required and retain a strong central leader. Such attention is required for a magnificent tree when fully mature. We have good numbers available now for planting in 40 cm pots, 50 litre containers and 150 litre bags. Waterhousea is a great screening tree and should be tip pruned any time of year to keep in shape. 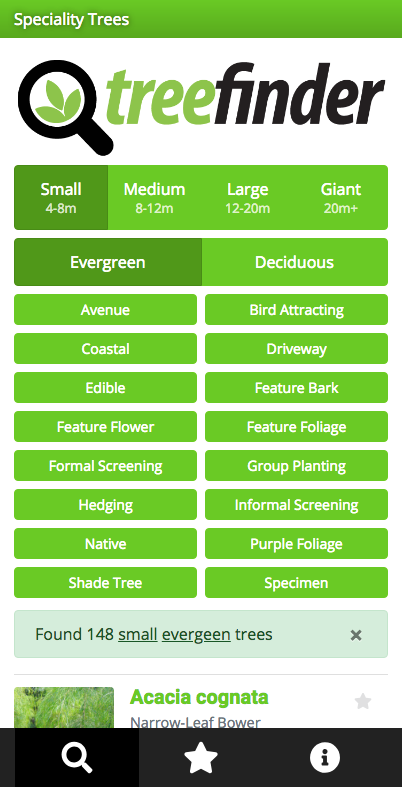 Ours is a special selection which is more dense and larger leaved than others so it is quite quick and easy to create a large and thick foliaged area that provides protection from wind and prying eyes. And with that beautiful red tip on all new growth! This is a very popular line and we have really good numbers for planting now in 20cm, 30cm 40cm, 50litre containers through 150 litre bags. From a pruning perspective, we don't do much at all, just a tip prune to fatten up. If required we remove lower branches to give the tree height off the ground. A truly wonderful tree when mature, it has a delightfully graceful weeping habit and dark green aromatic pinnate leaves. A feature is its pale green long flowers followed by reddish fruit that hang throughout the tree like beads. We have premium stock ready to go now in 50 litre containers and 100 litre bags. You really only need to tip prune Banksia once per year to thicken up the foliage. 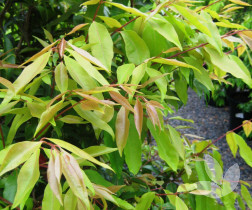 This distinctive native tree has rough patterned bark and long green leaves with a silver underside, pale yellow flowers in summer and seed pods which cling to the branches for a considerable period of time adding to its interest. We have great numbers ready to go now in 50 litre containers.